Drama ensued at Makerere University yesterday during the 69th graduation ceremony as police attempted to arrest a former student activist. 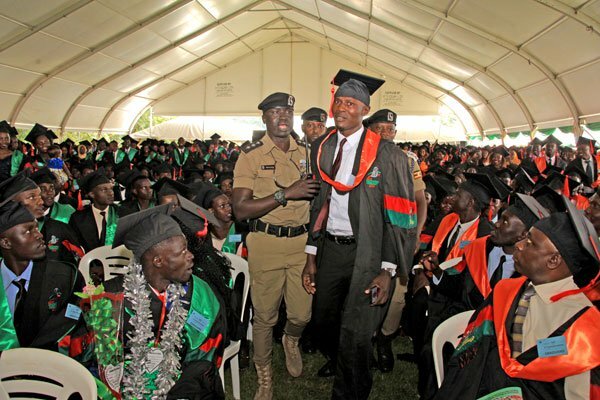 Five police officers, who declined to reveal their identities to journalists, dragged away Mr Simon Wanyera, who graduated with a Bachelor Degree in Education from the tent, but fellow graduates protested. Realising that the situation was getting out of hand, they abandoned their mission and returned Mr Wanyera to his seat. Other three officers in plain clothes were instead re-deployed to surround and keep a close eye on Mr Wanyera until the ceremony ended. The graduate told Daily Monitor that the police officers wanted to arrest him for making noise at the ceremony, asserting that he was just happy since the journey has not been easy for him. 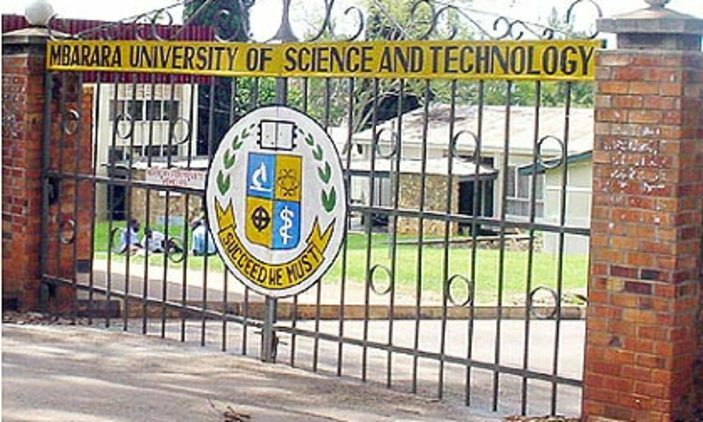 Security was tightened within and outside the university premises yesterday because President Museveni was the guest of honour. Some officers were seen traversing Wandegeya. Wanyera will forever be remembered for his activism, leading strikes against what he called injustice to students and among the notable campaigns; the strikes against the 60% tuition policy, kojikwatako and the recent strike against tuition increment will always stand out. He was also an active member of the Forum for Democratic Change, Makerere chapter and an Academic affairs minister in the 83rd guild cabinet.